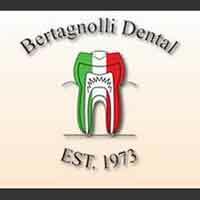 The minute you step into the cheery office of Bertagnolli Dental you will feel right at home. As a Westminster dentist, our main focus is to provide personalized and comfortable dental care for the entire family. Our goal is to help each patient achieve and maintain long term dental health and a beautiful smile. Some of the services we provide are teeth whitening, crown, implants, veneers, general check-ups/teeth cleaning, dentures and sedation dentistry. We also have an in-house lab to which allows us to help save you money. We are the Westminster dentist you can trust. Our staff offers personalized attention for each and every patient. Experience all that modern dentistry has to offer. If you are looking for a dental office with state-of-the art procedures and equipment, Bertagnolli Dental is the Westminster dentist to call. Call and schedule your appointment today.